Did Oculus REALLY mean it when they said Go had over 1000 games? When the Oculus Go was released we were told there was going to be over 1,000 games and apps for us to play around in. Yet from the moment I received my I’ve been experiencing quite a bit of error messages when trying to get into games. That or the controls for games straight up don’t work. 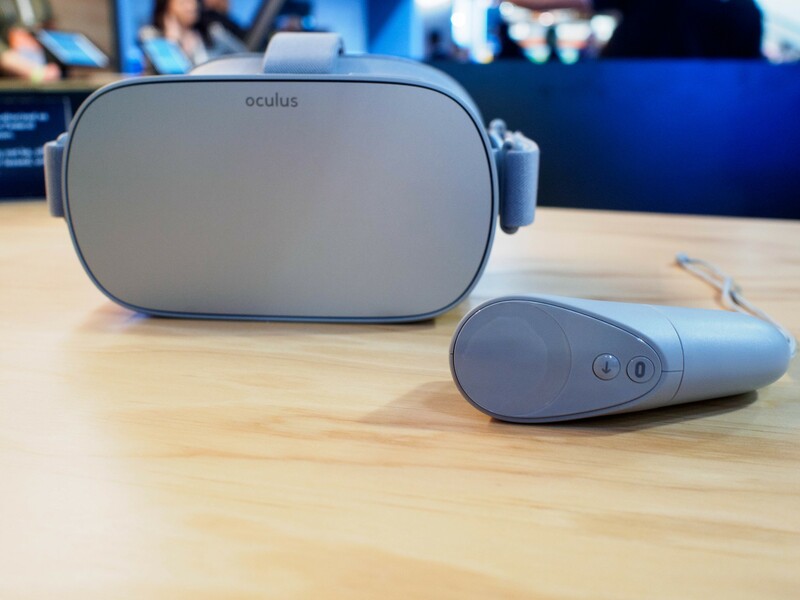 This got me wondering how many of the games were actually transferred properly to work with the Oculus Go, and how many of them were just merged straight from the Gear VR list. These theories are constantly proven to be the latter when games load and give you “how to use your controller” that most certainly is not an Oculus Go controller. I will not be listing games that show a Gear VR or Daydream controller at startup. If I did 99% of the app store would be on this page. Most of the games that show a Gear VR is very self-explanatory as to what the controls are. (I.E. Press the trigger for grab, press the touchpad for moving). Listed are games where the controller settings are so out of place it almost didn’t make sense. These games work enough that you’ll be able to play them, but something (whether that be a control or an error) is missing. If the controller settings had never told you that you should have had an option to do something that you later found out wasn’t compatible with your controller, you’d never know. The Vault is one of the better horror games available on the Oculus Go, but it will give you some problems. The only one I encountered was how many times you have to click a button to pick something up. When approaching scrap it turns out you can’t pick up any of the items with one click. It takes quite a few clicks to pick up your targets and take them to their compartments. Other than that the game is still terrifying and fun to play so a few extra button clicks didn’t actually bother me all that much. This game is another one of the best horror games for the Oculus go. While there is a small problem with the controls it surely didn’t stop me from having a baller time with this game. The problem is that it doesn’t appear that there is actually a control to make your character run. The instructions say “You’ll sound out of breath when you’ve run too much” and my character has heavy breathed before. But the problem lies in when I’m supposedly “running” the screen doesn’t appear to be moving faster. In fact, it moves at the same pace as the slow walk you spend most of the time in. Regardless, I was able to beat the game without needing the running option and still had an amazing time. So don’t let that be a reason to not play! For reasons listed under each title, these games aren’t even worth downloading to your device. They’re either not working at all, or have so many complications they might as well not be working at all. Nothing works. No controls, no nothing. It took a frustrating amount of button mashing to pick up the idol just to get the game to work. Then, when it started running none of the other controls work. Not moving your head, pushing any buttons, swiping, nothing. When you load in this game everything seems to be perfectly fine. The controls show a different controller but work well enough it’s still playable. But then you get to the game and after the 2nd or 3rd time you have to reload your gun you notice your controller is about 4 inches off its calibration. You see, you have to reload your gun by whipping your gun down to the left and then back up to the right. I’m not sure if it’s bad design or a poor transfer to Oculus Go controller settings, but, every time you reload your gun it throws off the controller calibration. You can’t really pause the game without having to go back to your Oculus Main menu so having to reset your controller in the middle of a gunfight is actually pretty annoying and makes this game unplayable. This game is actually pretty fun and makes me a little sad it’s not working on the Oculus Go. 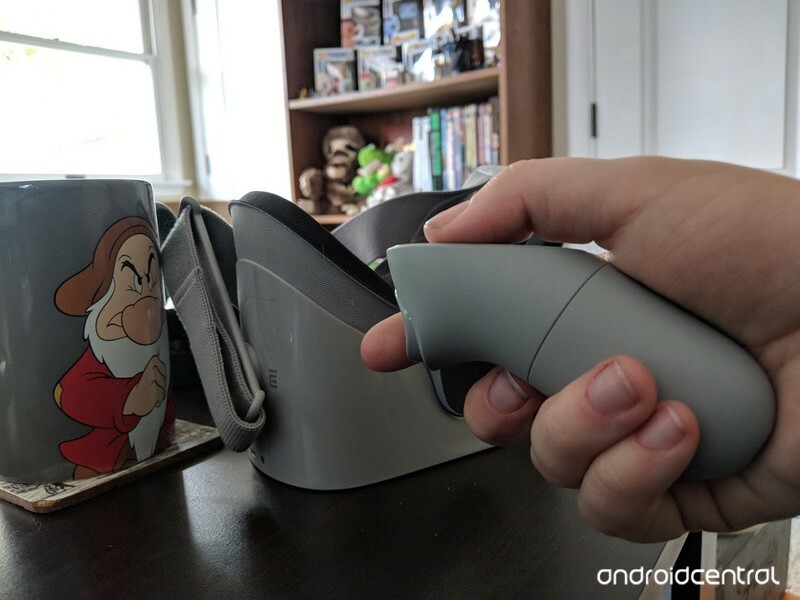 For the most part the controls do work, but the problem lies in how sensitive the Oculus Go controller is and the controller settings they decided to use. Constantly I kept accidentally opening the spell menu by accident and even when I was trying to be **very conscious* of my hand placements so it wouldn’t happen, it still did! Later I would be instructed to open my spell menu and go figure it wouldn’t work. I didn’t get past the 3rd or 4th challenge of this game before I was uninstalling it in a huff. To top it all off, it took me 5 solid minutes to figure out the actual controls for combining items in the inventory menu. To top it all off, later when the need for combining items came up again it didn’t work. I tried my hardest to get this game to work because of how cool it really is, but my frustration got the best of me. Hopefully, this game will receive an update and make me a little less sad. This Gear VR app will allow you to download it to your Oculus Go but that’s as far as the compatibility goes. When it comes down to connecting the app to your account the authorization process does not work, leaving this app useless. Have you found any games not working? Tell us in the comment section below and we’ll do our best to make sure this article is constantly updated with games that aren’t working.